On 6th February 1819, Singapore was claimed as a trading outpost of the British Empire to “secure to the British flag the maritime superiority of the Eastern seas”. 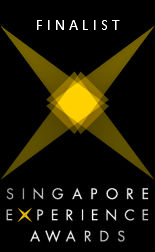 In governance, religion, entertainment, and many other spheres, the imprint of Singapore’s colonial past is indelible. 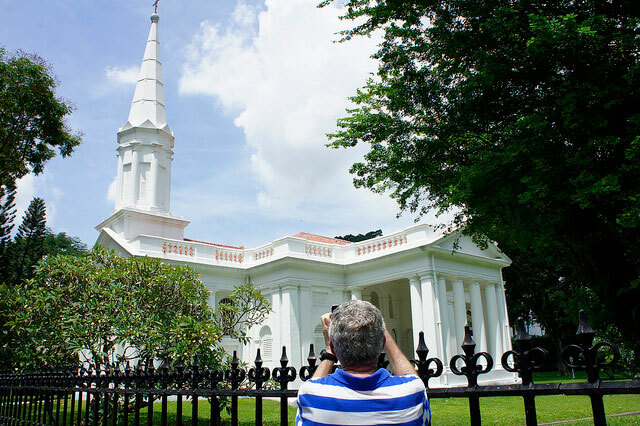 Discover the significance behind some of Singapore’s oldest and most stunning landmarks, each with their own tale to tell. This is the Walk where you learn about Singapore’s national flower, the Sarkies brothers, The Straits Times and find that wonderful drink called ‘the Singapore Sling’. 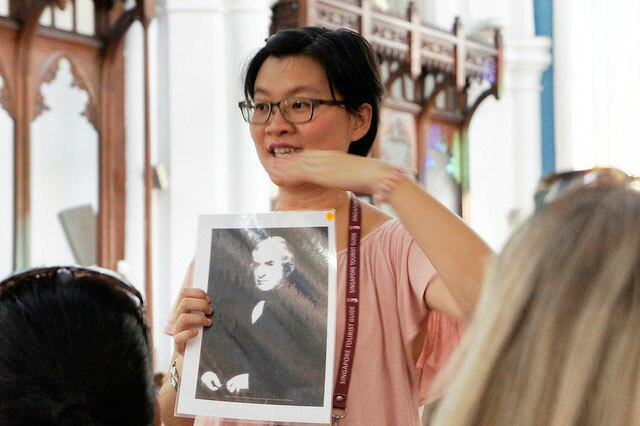 Discover Singapore’s colonial legacy and chart its transformation from The Time of Empire. 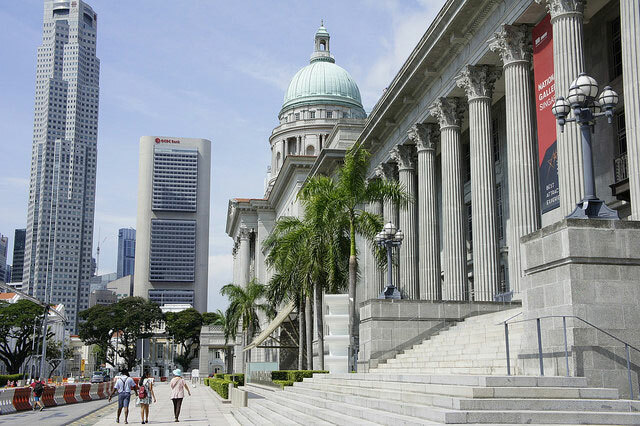 Admire the stately architecture and learn the historical significance of the National Gallery. NEW! Enjoy a rare view of the cityscape from atop the Supreme Court Viewing Deck / National Gallery which overlooks the Future Down Town as our guide shares exciting snippets of major upcoming projects. BY CAB: Alight at the MRT exit at the junction of North Bridge Road and Stamford Road. 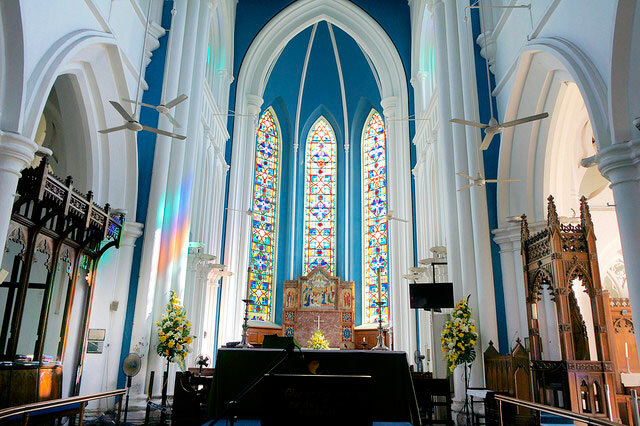 Nearest landmark is St. Andrew’s Cathedral. As a mark of respect for the state institution, visitors must be appropriately attired. Visitor(s) may be turned away by security personnel if the attire includes one or more of the following – torn jeans, bermudas/shorts, slippers and singlet/casual t-shirts. Photographic devices are not allowed in the Supreme Court and must be surrendered at the entrance of the Supreme Court.